During the last year or so, two members of one of the First Families of the Blues have issued new releases that show that the blues is doing just fine continuing into the next generations. There have been other blues families that have carried on the tradition over the years (Carey Bell and family, Raful Neal and family, James and Lucky Peterson, Luther and Bernard Allison, Tabby Thomas and Chris Thomas King, etc.......) and all have enjoyed a healthy measure of success, but it's been a really cool thing to see Big Bill Morganfield and Mud Morganfield, the descendants of Muddy Waters, find the spotlight as well, because though they had a huge pair of shoes to fill, they've repeatedly proved that they are more than up to the task. 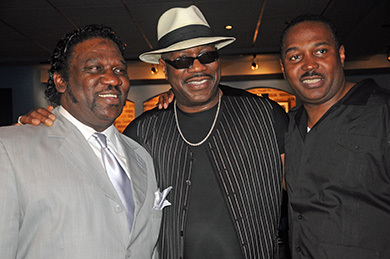 Big Bill Morganfield had little contact with his famous father as a child. He was born in 1956 in Chicago, but was raised in Georgia by his grandmother. Growing up, he did listen to Muddy Waters records, but also the standard popular fare of the day.....R&B, soul, etc.... He also earned degrees at Tuskegee University and Auburn University and became a teacher. Though he always dabbled in music, Morganfield began to seriously pursue it after his father passed away in 1983. He bought a guitar a few years after his father died, and spent the next six years learning to play by studying his father's music as well as many of the old masters. 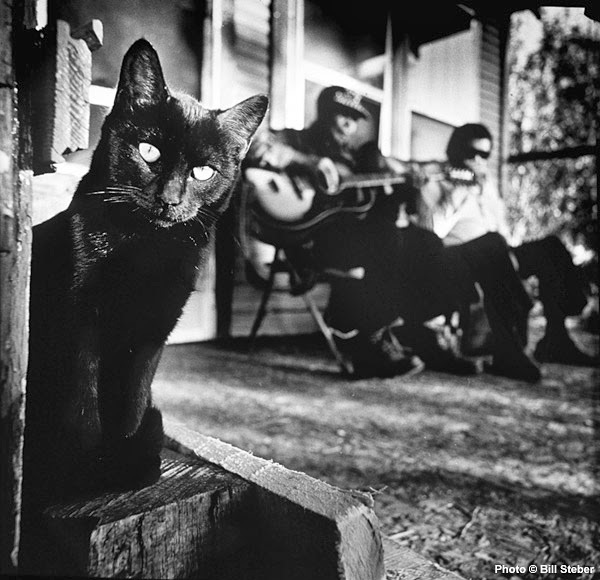 By the mid 90's, he had his own band, The Stone Cold Blues Band, and began to attract attention, but his career really took off after his first release on Blind Pig Records, Rising Son, hit the streets in 1999. 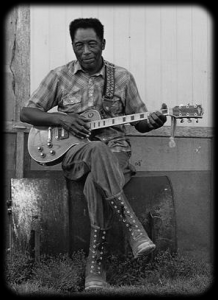 It featured several of his father's former band members, including Pinetop Perkins, Paul Oscher, and Willie "Big Eyes" Smith. Morganfield sounded a lot like his father as a vocalist and showed some pretty impressive skills on guitar, particularly slide. The best thing about it was that while he did cover some of his dad's tunes (and some other classics as well), he brought several great songs of his own to the table. I wasn't sure what to expect when I first heard it...these were the days before songs were blasted all over the internet like they are today....but I have to say that I was really blown away by his talent and the fact that he was the son of Muddy Waters played very little into that. 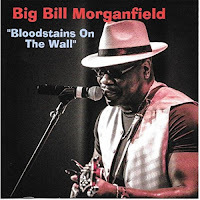 Since then, Big Bill has released several very good albums, including last year's Bloodstains On The Wall, which to these ears, is his best release yet. 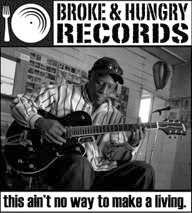 Like on his previous releases, he offers up some choice cover tunes from a wide variety of sources......Otis Rush, Willie Dixon, Lonesome Sundown, the title track from Alabama blues artist Frank "Honeyboy" Patt, Jimmy Reed, and Jimmy McCracklin, and his own songs are as strong as the covers. He even ventures into more modern sounds with one track, blending his voice and guitar with hip and electronica......even if that's not your bag, it's pretty cool that he's venturing into what must be unfamiliar territory music-wise. Bloodstains On The Wall was released about this time last year, during my extended leave of absence from blogging, but it really stood out to me. 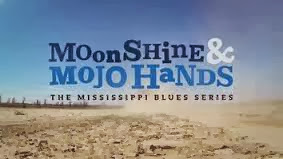 It's nice to hear the traces of Muddy Waters in Morganfield's voice and his guitar.....who wouldn't want to hear that.....but it's also great to see him branching out from that sound and developing his own distinctive sound. Like his brother, Larry "Mud" Morganfield never really got to know his father. He was born in 1954 in Chicago and was raised by his mother and her seven brothers. Though his father, busy with touring and traveling, did occasionally visit him (giving him a drum set when he was a kid) and despite being around music most of his life, like his brother, he never seriously pursued it until his father passed away, even though he played drums and later moved to bass guitar. He actually made a living driving a truck, but a recurring dream about his dad performing on stage encouraged him to give the blues a shot. His vocals strongly resemble his father's in their tone and phrasing, but again like his brother, Mud grew up listening not only to his father's music, but also the popular music of the time, particularly R&B, soul, and Motown, and his live sets featured a mix of those styles. His first album release came much later in 2008 on the Gypsy Woman/Pops Daisy label, but he also released a live disc that year with the Dirty Aces. In 2012, after signing with Severn Records, he released Son of the Seventh Son. A powerful set, Morganfield wrote most of the songs, but covered one of his father's tunes, a chilling read of "You Can't Lose What You Never Had" that sounds for all the world like his father singing it back in the day. Though I've never heard his early recordings, I did review Son of the Seventh Son for Blues Bytes and the vocal resemblance was just amazing to me. 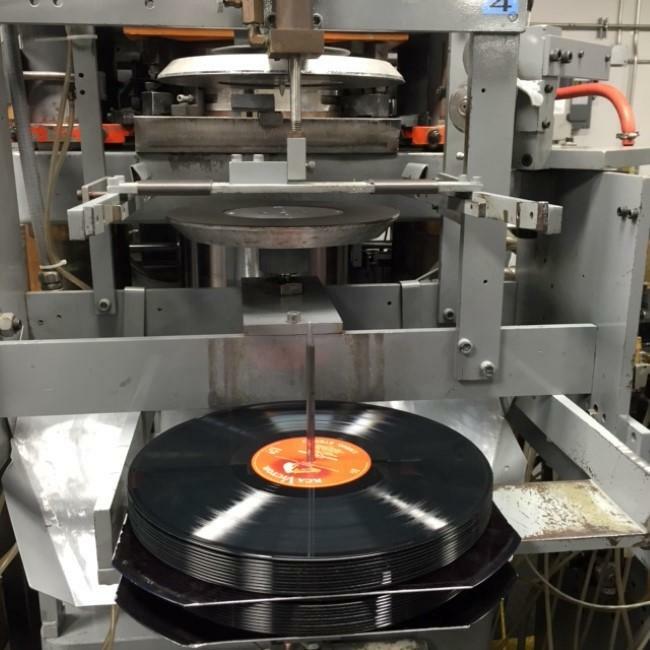 Morganfield's next release, For Pops: A Tribute To Muddy Waters, was, as the title would indicate, a loving tribute to his dad. Morganfield covered fourteen of his father's most beloved tunes, backed by the incredible harmonica legend Kim Wilson. 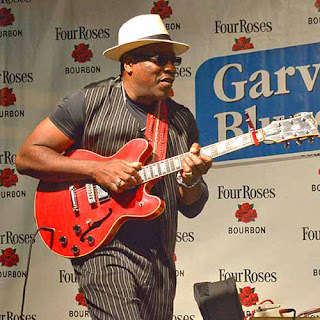 Severn Records president David Earl reported that he was inundated with phone calls and emails after Morganfield's debut release, demanding that he and Wilson (also with Severn) join forces. 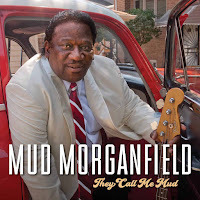 More recently, Morganfield released They Call Me Mud, also on Severn Records. It's a bit of a change from his previous efforts in that while he does cover a few of his father's tunes in that magnificent voice, and also offers a few originals that touch on that traditional Chicago-from-the-Delta quality, there's a definite soul/R&B feel to about half of the album, sometimes combining funk and even a touch of jazz to the soul/R&B tunes. 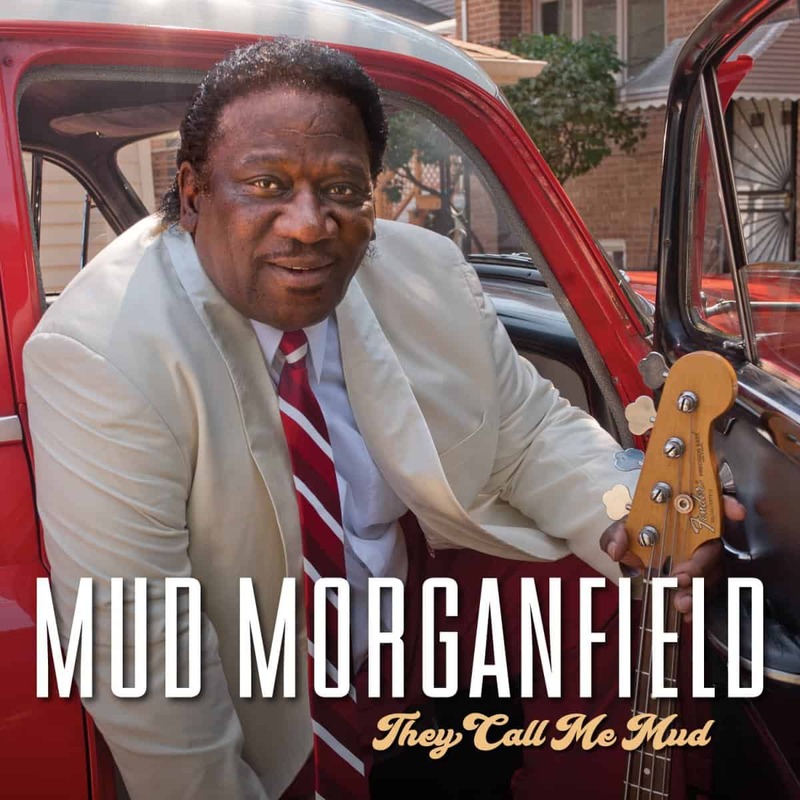 On these tunes, Morganfield doesn't sound as much like his father, but he still sounds great, and there's even one song that he sings with his daughter, Lashunda Williams. 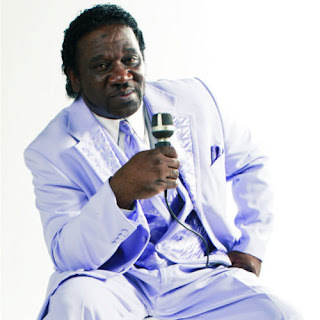 Like his brother, Mud Morganfield manages to carry on the proud musical traditions of his father, but he also shows that he is more than capable of branching out to other styles with relative ease. I think Muddy Waters would be extremely proud of his sons doing their part to keep the blues alive. If you haven't had the chance to check out either of these fine artists, I highly recommend you give their music a spin. 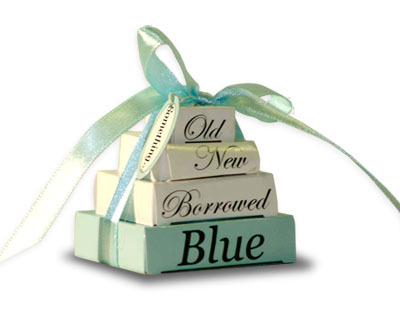 A couple of times on previous editions of Something Old, Something New, Something Borrowed, Something Blue, we've taken variations of a familiar blues song. We're going to do that this time with the North Mississippi hill country blues classic "See My Jumper Hanging On The Line." Most blues fans have heard it before from the late R.L. Burnside, but they may not know what the phrase means. Supposedly, in blues lore, if a married woman hung her housecoat, or "jumper," on the clothesline, it was a signal to her lover that the coast was clear, so to speak. The song was one of Burnside's most recorded songs, and certainly one that his fans loved to hear him perform. It was the first Burnside song I ever heard, on the soundtrack to Deep Blues in 1992. For the Something Old portion of today's post, here's the great Mr. Burnside performing this tune sometime in 1978, filmed as part of a documentary by Alan Lomax. I realize that for some, like me, 1978 is not OLD, but it's old enough for today's purpose. 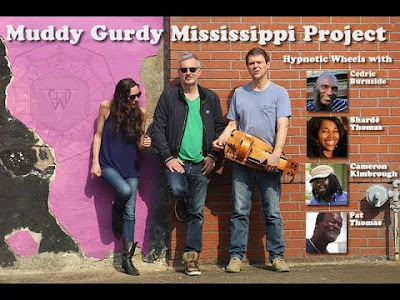 For Something New, check out this rendition of "Jumper" from Muddy Gurdy, the recent collaboration by the French trio Hypnotic Wheels and a host of the current cream of the North Mississippi hill country crop.......Cedric Burnside, Sharde' Thomas, Cameron Kimbrough, and Pat Thomas. The interesting thing about this collaboration is the inclusion of the Hurdy-Gurdy into the mix. 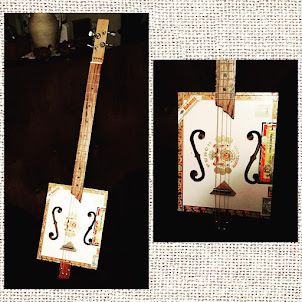 The Hurdy-Gurdy is a traditional French instrument, operated by a hand crank, and has a most interesting sound, sort of a combination of an accordion and a fiddle. This sound works really well with this album, which is a set of mostly older tunes made popular by various hill country artists and one of them was "Jumper On The Line," of course. Cedric Burnside, R.L. 's grandson, takes the mic for this rendition. For Something Borrowed, here's the Kansas roots rockers Moreland and Arbuckle's version, first heard on their 1861 album in 2008. This trio (guitarist Aaron Moreland, vocalist/harmonicist Dustin Arbuckle, and drummer Kendall Newby) has recorded for several labels, Northernblues Music, Telarc, and most recently Alligator, but their 1861 album is my favorite because it has their smoking version of "Jumper On The Line." 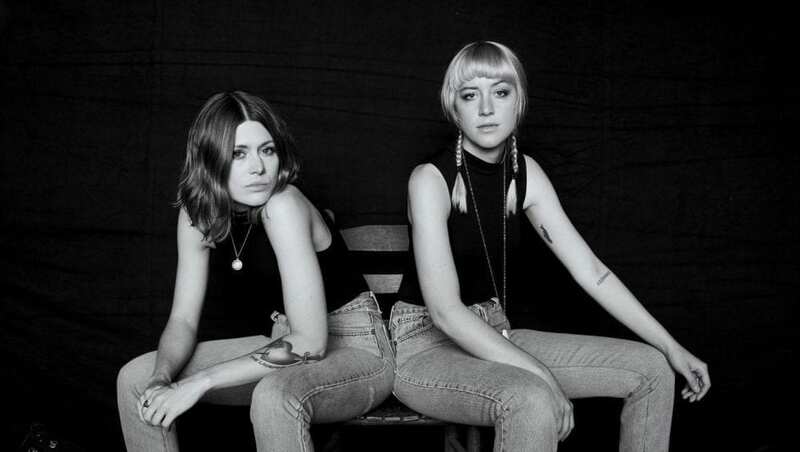 If you've not heard these guys, you certainly need to. They're the real deal. This live recording was taken in early 2009, not long after 1861 was released, as part of a broadcast on Wichita Public Television. 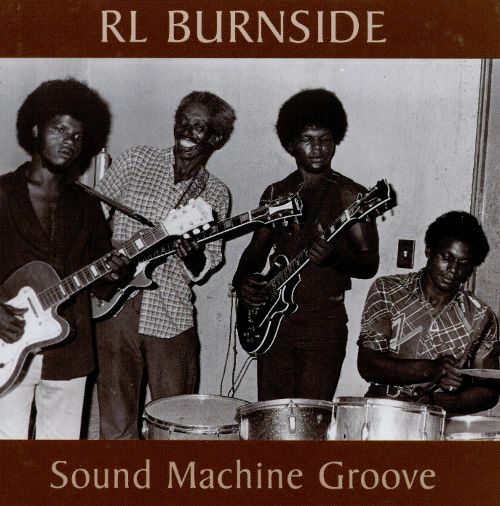 For Something Blue, here's another look at Burnside performing this tune......this time with his band, The Sound Machine from recordings he made in the late 70's/early 80's for Dr. David Evans (later released as Sound Machine Groove). These were Burnside's first recordings with his band (made up of family members) and also his first electric recordings. If you've never heard these recordings, you need to check them out because these are some of his best and they really have a funkier edge than most of Burnside's recordings. This is probably my favorite version of "Jumper On The Line," and just one of the great songs on this set, which is worth seeking out, as are all of Dr. Evans' series of recordings from that time period. 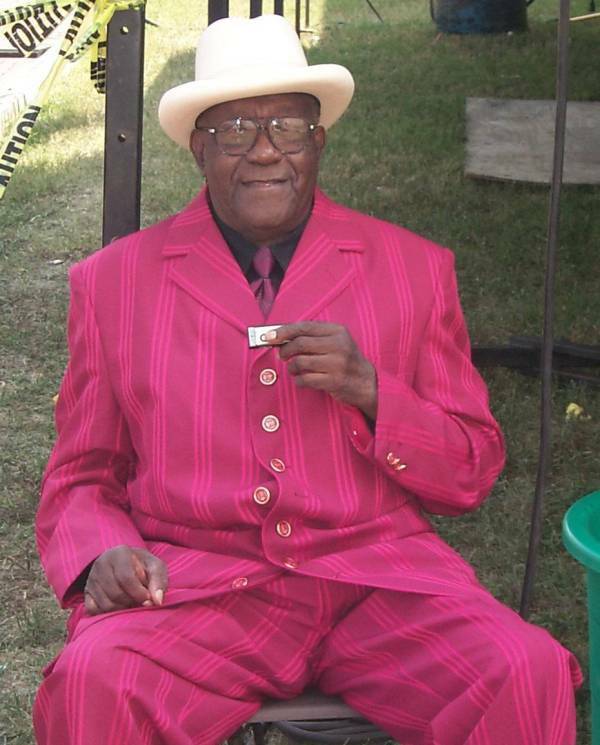 A longtime vet of the L.A. blues scene, drummer Johnny Tucker backed Phillip Walker for over 30 years, as well as other area greats, but still found time to make a few recordings of his own, showing a fine voice as comfortable singing soul as he was the blues. 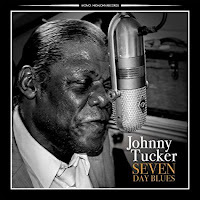 His latest, Seven Day Blues (High John Records), is his first release in nearly 12 years, and has a definite Chicago feel to it with several guest musicians who know the sound very well - guitarist Big Jon Atkinson (who also produced), guitarist Kid Ramos, and harmonica ace Bob Corritore. Tucker wrote all fifteen songs and there's not a dud in the bunch.....each tune sounds like a long-lost track from the 50's, lyrically and instrumentally. His warm, seasoned vocals are a great fit for this style of blues and fans of old-school, traditional blues will be hitting "Replay" on this one for sure. 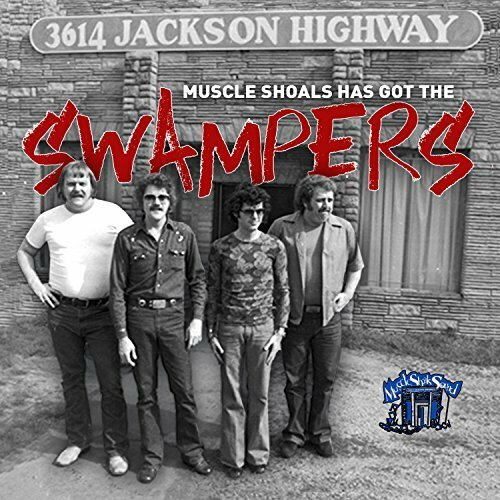 If you were a music fan in the late 60's or early 70's, chances are very good that you heard a song that was recorded in Muscle Shoals, AL with musical backing from The Swampers. These guys (keyboardist Barry Beckett, guitarist Jimmy Johnson, bassist David Hood, and drummer Roger Hawkins) played on hits for Aretha Franklin, Wilson Pickett, Paul Simon, Rod Stewart, Percy Sledge, the Staple Singers, Bob Seger, the Rolling Stones, Delbert McClinton, and many, many others. Lynyrd Skynyrd refers to them in "Sweet Home Alabama" (hence the title of this album). 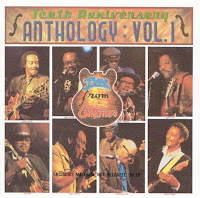 Malaco Records discovered a set of recordings by the rhythm section.....some of them were studio jams, some were recordings they made by request.....and has collected the set as Muscle Shoals Has Got The Swampers. It's a fine set of 14 instrumentals that cover a lot of ground......blues, R&B, Southern rock, and soul......think of a Booker T & the M.G. 's/the Meters/Sea Level merger and you've got The Swampers. Glad Malaco saw fit to get these out to the listening public. I was listening to Beale Street Caravan a few weeks ago and their featured artist was Paul Thorn. During a short interview, Thorn stated that his next album would be a collection of gospel tunes, which intrigued me. Paul Thorn fans are aware that the singer's dad was a Pentecostal preacher and young Paul grew up singing and playing tambourine at church. He traveled to different churches with his dad to perform and Thorn fell in love with the music in the black churches, which were R&B-based. 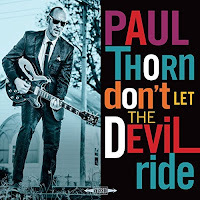 Thorn's Don't Let The Devil Ride (Perpetual Obscurity Records) pays tribute to those old timey Southern gospel songs, covering 14 familiar and not-so-familiar tracks. Thorn's gritty, weathered vocals are a snug fit with these tunes, and he gets some very complimentary backing from a prestigious list of guest artists.....the Blind Boys of Alabama, the Preservation Hall Jazz Band's horn section, and, have mercy, the McCrary Sisters. What makes a good live album? For me, it's three things. First, it has sound just like you're in the audience. Second, the band really has to be firing on all cylinders. Third, it has to be so good that you wish you had been there to experience it. 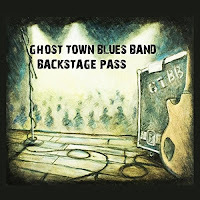 Backstage Pass, the newest release by Memphis' Ghost Town Blues Band has all three of those qualities and probably a few more to boot. 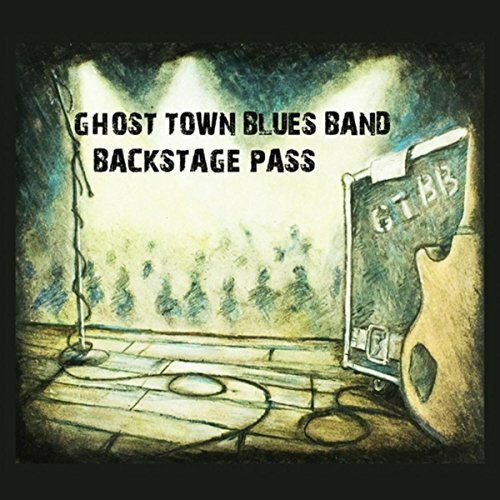 One of the things I really like about GTBB is that it's obvious from the beginning that Matt Isbell and company are having as much fun as their audience is and that really comes through on this album. 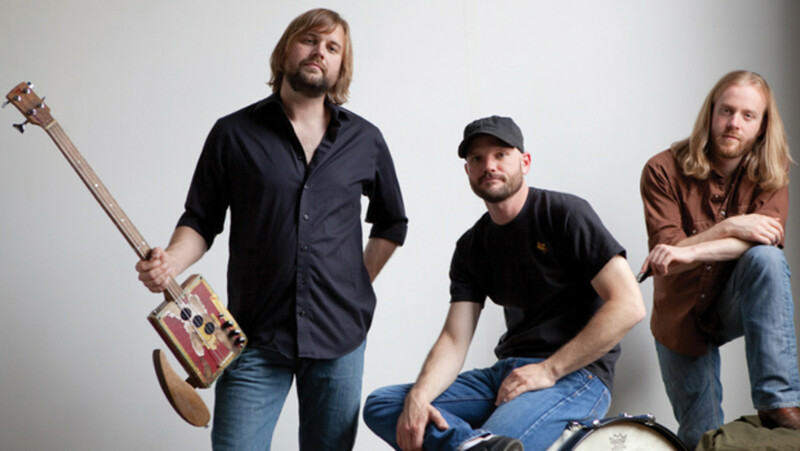 The band itself is like a well-oiled machine and their influences range from the blues and soul that's central to their home base to Crescent City R&B to the Southern rock of the Allmans and even classic rock. Speaking of which, It's really cool the way that the band inserts bluesified snippets of rock classics into their songs, and the way that they transform songs from other artists, classic tunes even, giving them a unique GTBB makeover. I will tell you that you will not want this 9-song, 65-minute set to end.....seriously. This is one of the best live discs I've heard in a long, long time. 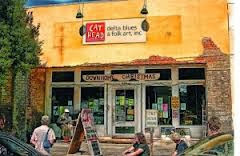 Track Five of our second Blues Fix Mix CD comes from one of my favorite blues albums. In fact, there are several tracks in this series that come from this album, including a pair that showed up on Volume One.....Otis Rush's "Double Trouble" and Pinetop Perkins' "Caldonia." 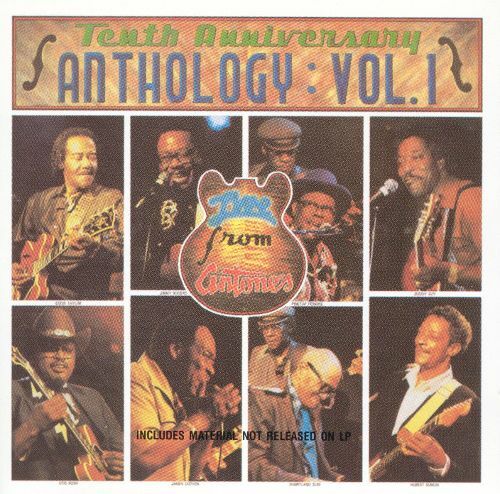 Volume Two's selection is the opening track from the album, which was a collection of live recordings in the mid-80's from some of the living legends of the blues celebrating the 10th Anniversary of the Austin club Antone's. 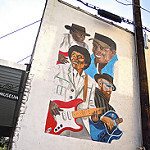 The opening track teamed harmonica pioneer James "Snooky" Pryor with guitarist Eddie Taylor for a show-stopping version of Pryor's "How'd You Learn To Shake It Like That?" Born in Lambert, MS in 1921, Pryor claimed to be the first harmonica player to play through a P.A. system. He claimed to have done it during his tenure in the army and it inspired him to assemble his own set-up after he was discharged and returned to Chicago in the mid 40's. In the late 40's/early 50's, he recorded some pioneering tracks with the guitarist Moody Jones, including "Boogie" and "Telephone Blues." He recorded for several labels in the 50's, including Vee-Jay, Parrot, Planet, and J.O.B., but while his recordings were influential to other artists, he never really achieved any sort of success with them, either on the charts or in the pocketbook, so he bowed out of the music scene during the 60's. He eventually resurfaced about twenty years later in the late 80's, recording for Blind Pig Records, Antone's, and Electro-Fi and playing numerous festivals right up until his death in 2006 at 85. "How'd You Learn To Shake It Like That?" was the first Snooky Pryor song that I'd ever heard and it was the first track on that Antone's anniversary album. When I plugged that in, I was immediately hooked. Backed by the legendary guitarist Eddie Taylor, Pryor has a blast with this song in front of a really enthusiastic audience. It goes on for over eight minutes.....Pryor does a verse, a powerhouse harmonica solo, another verse, another solo. It sounds like he's going to blow the back off the thing a few times. Taylor launches into a brief solo that sounds like he's using barbed wire for strings about midway through, then Pryor takes it home, but it's almost like the song itself doesn't want to end. This was just a fun experience to hear.....I can't imagine how much fun it was to hear in person. I think if you weren't a blues fan before you heard "How'd You Learn To Shake It Like That," you probably became one pretty soon afterward.